Previous postEMMA AND ELIZABETH'S FRIENDSHIP IS OVER!! ON HOLD FOR NOW! THE WORST DAY EVER BEING GROUNDED! FINALLY BACK AT IT! 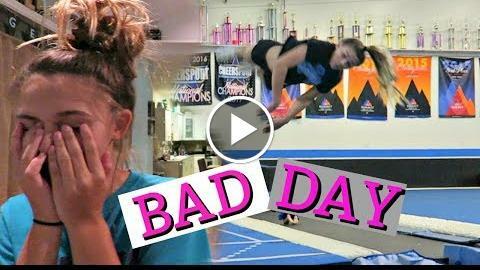 So today Emma tells you about her bad bad days she has been having. Trouble at school and even trouble at home. Being grounded from your phone is never fun but it’s life and sometimes things happen that we don’t like. It is a hard lesson but it is a lesson needed. The girls finally get back in the gym after 8 weeks not being able to attend. Do you get grounded?